New Mustang day - Brothers and sisters. MIJ MG-65 in Daphne blue. Likey? 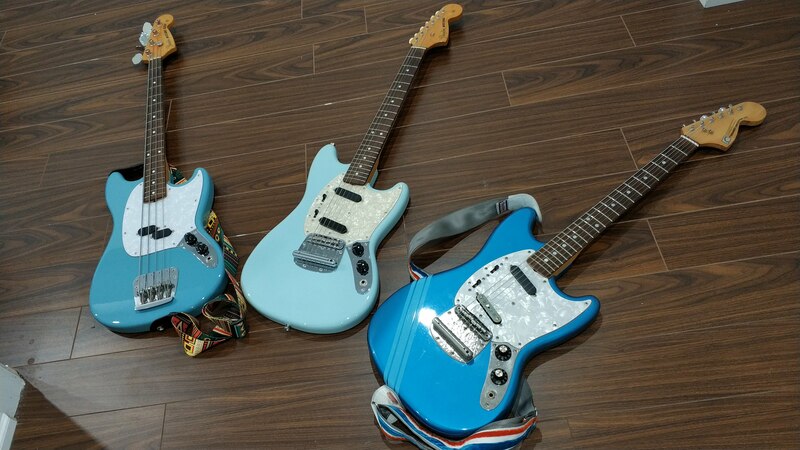 Re: New Mustang day - Brothers and sisters. Easily the best color for mustangs. The serial starts with a T, same as the bass. "Made" in Japan, so made anywhere from 2007-2010. This one is pretty minty. 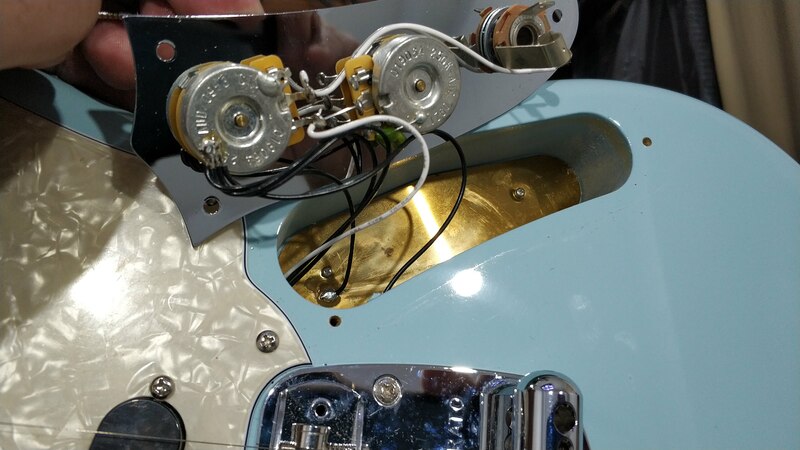 It still has the plastic on the pickguard. Stock CTS pots from 2009 and copper shielding. Nice touch Fender Japan. Great collection right there. Good show. Well done!!! You chose wisely. excellent addition. very nice trio you have there. They all look really nice. I remember when the Mustang first came out. Nice little guitar but needed better tuners. Do you know what upgrades this thing is getting? 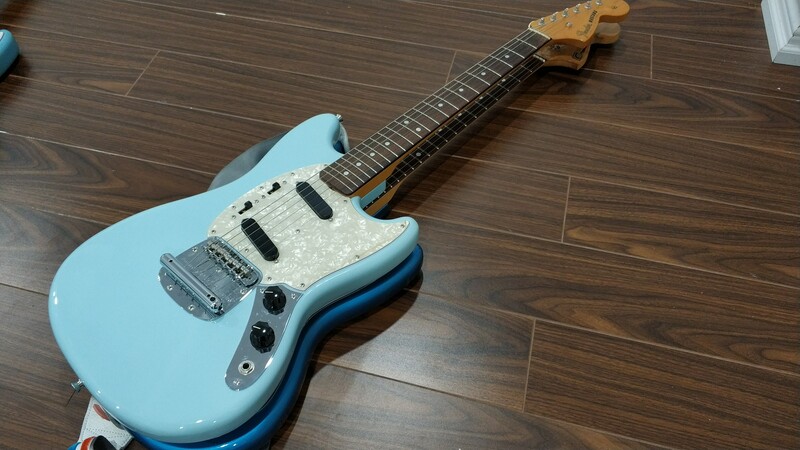 The bridge is fine, the trem is fine, the pots are fine, pick ups sound decent, the headstock decal doesn't need matching or a new decal, though in the future i might put Squier and "Made in Indonesia" decals. 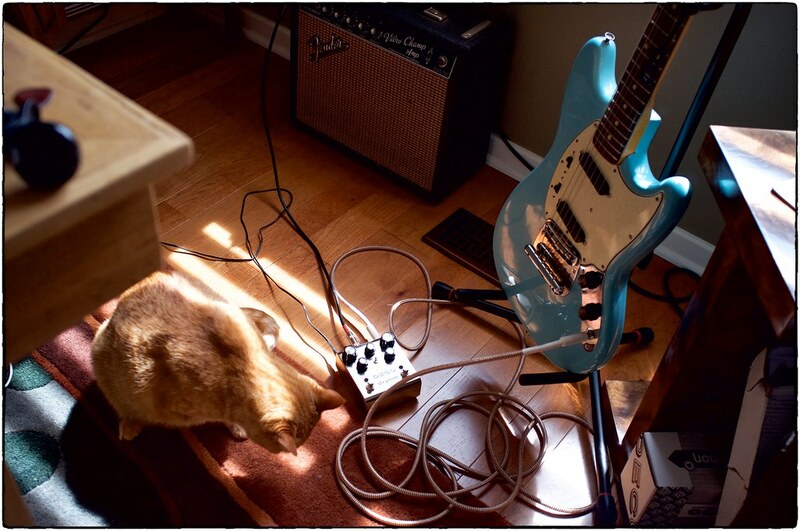 Ha, I thought this was a single guitar on an especially reflective floor at first.